03.05.2018 01.05.2018 ~ Đào Thu Hằng	~ Bạn nghĩ gì về bài viết này? 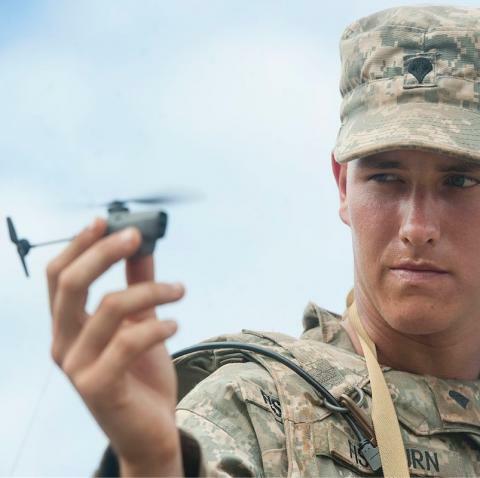 Advances in artifcial intelligence (AI), deep-learning, and robotics are enabling new military capabilities that will have a disruptive impact on military strategies. The effects of these capabilities will be felt across the spectrum of military requirements – from intelligence, surveillance, and reconnaissance to offense/defense balances and even on to nuclear weapons systems themselves. 05.12.2017 05.12.2017 ~ Đào Thu Hằng	~ Bạn nghĩ gì về bài viết này? lexology_If you’re reading this, the chances are that you will have come across the concept of Artificial Intelligence in your prior researches. Like most issues “du jour“, a lot has been written on the topic which falls into two categories – material either presupposes a level of prior computer- science based knowledge or; more commonly is thinly disguised salesware which doesn’t convey a lot. 05.12.2017 03.12.2017 ~ Đào Thu Hằng	~ Bạn nghĩ gì về bài viết này? technologyreview_With so much excitement about progress in artificial intelligence, you may wonder why intelligent machines aren’t already running our lives. 01.11.2016 01.11.2016 ~ Đào Thu Hằng	~ Bạn nghĩ gì về bài viết này? technologyreview_About halfway through a particularly tense game of Go held in Seoul, South Korea, between Lee Sedol, one of the best players of all time, and AlphaGo, an artificial intelligence created by Google, the AI program made a mysterious move that demonstrated an unnerving edge over its human opponent. 31.10.2016 ~ Trần Đình Hoành	~ Bạn nghĩ gì về bài viết này? AI could be revolutionary for healthcare as it can process many more research papers and case files than any human doctor could manage.